The Oceanis 48 is an ideal yacht for extended boat holidays. Photo credit @Beneteau. Oceanis yacht charters provide an incredible sailing experience, making them one of the most sought after cruising vessels for sailing holidays. Learn about Bénéteau, a leading boat manufacturer, and their Oceanis line, one of the company’s most successful ranges of sailboats which have won over yachtsmen the world over. Oceanis yachts are available for charters throughout the Mediterranean with Zizoo. Photo credit @ Beneteau. Oceanis sailing yachts are a product of the French company Bénéteau. 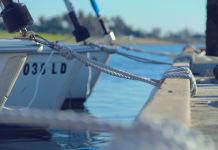 Founded in 1884 by the shipbuilder Benjamin Bénéteau, the boat manufacturer has stood for more than a century as a leader in combining tradition and innovation. The one-time family business is one of the world’s largest yacht makers today producing diverse models of sailing and motor yachts. One of the most popular lines of charter yachts by Bénéteau is the Oceanis series. The Oceanis line has raised sailing to a new level. Currently, Bénéteau offers 8 different models that range from 31 to an impressive 60 feet. What all these yachts have in common is their focus on comfort and, at the same time, optimal performance. Designed by the masterminds at Berret Racoupeau and Finot and Conq, Oceanis yachts are known worldwide for their sleek designs that are both functional and stylish inside and out. With the introduction of the Oceanis 38, Bénéteau has produced a sleek and elegant sailing yacht, which offers plenty of room for a crew of up to 8 persons. Whether you are taking in the sun at the bow or relaxing at the helm, you can enjoy a tranquil cruise as you glide on the Mediterranean with ease. The three cabin yacht features an innovative interior design, giving you plenty of space to rest and entertain under the deck. Keep a look out for the Oceanis 38.1, Bénéteau’s newest addition to the Oceanis line. The 2017 38.1 is available to charter with Zizoo in Croatia and Italy. Glide easily and in style on the Mediterranean on an Oceanis 38 in Sibenik. Photo credit @ Beneteau. The Oceanis 48 is the perfect boat and is especially well-suited for extended yacht charter holidays. The gorgeous yacht was crafted for relaxed cruising, but can also be optimised for speed. The interior, designed by Nauta Design, succeeds in maximising space and comfort. The Oceanis 48 is an ideal vessel for any type of sailing party given the model’s 6 different layouts. Enjoy sailing this 4-cabin Oceanis 48 in Palma de Mallorca. The Oceanis 55 is the right choice when you’re sailing with larger groups. The yacht’s 6 cabins offer space for up to 12 guests on board. There are also three bathrooms and an extremely spacious and bright salon. Given the Oceanis 55’s larger size, the yacht still provides excellent cruising opportunities and is easy to handle. The cockpit gives plenty of space for manoeuvring and offers significant visibility while also featuring plenty of seating for you and your crew. 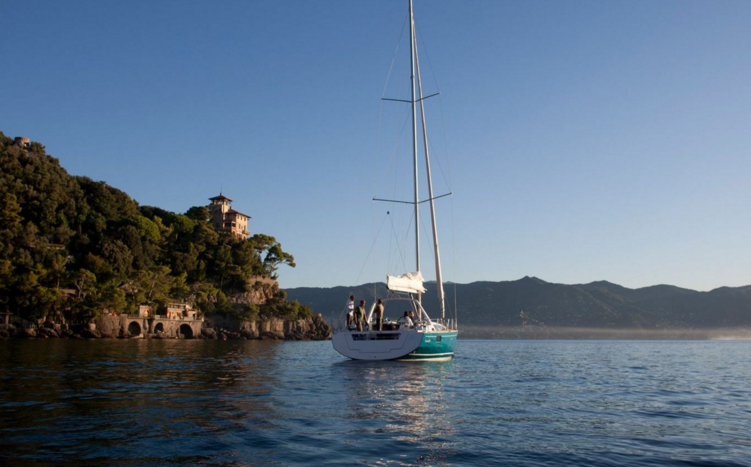 Set sail in Greece aboard this lovely Oceanis 55. The Oceanis 55 is an ideal sailing yacht for larger parties. Photo credit @Beneteau. 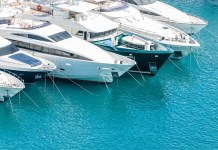 Learn more about our most popular charter yachts and the legendary boat manufacturers Lagoon and Bavaria Yachts. 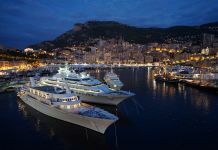 Next articleBoat Holidays in Ibiza: Which Yacht is Right For You?